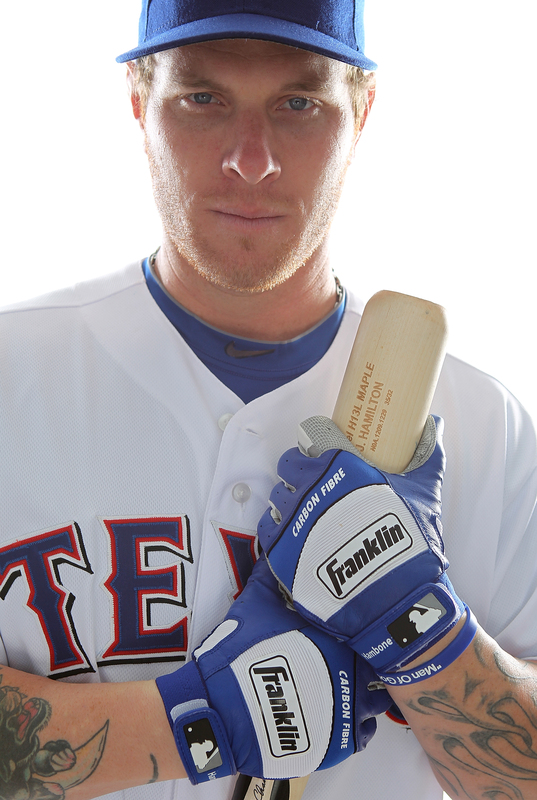 But Josh Hamilton, the reigning American League MVP, has another reason for his afternoon struggles: his blue eyes. "I ask guys all the time" as to whether they struggle in day games, Hamilton told ESPN 103.3 FM. "Guys with blue eyes, brown eyes, whatever ... and guys with blue eyes have a tough time." First, let's look at the numbers. According to CBSSports.com, Hamilton is hitting .297/.360/.513 in his follow-up campaign to his MVP season, which is an impressive mark but quite a bit off his line from 2010. Yet, if you look at just his night stats, he's putting up impressive numbers with a .376/.415/.661 line in 118 PA. His day numbers are a different story, as he's flailing to the tune of a .112/.246/.184 mark in 57 PA. Hamilton had a wide split in 2010 too, but it wasn't as severe: .286/.345/.474 in the day and .384/.433/.688 at night. "It's just hard for me to see [at the plate] in the daytime," Hamilton said. "It's just what it is. Try to go up [to the plate] squinting and see a white ball while the sun is shining right off the plate, you know, and beaming right up in your face." Hamilton's theory may have some merit since people with lighter eyes are generally more sensitive to sunlight. According to AllAboutVision.com: "People with a lighter eye color ... may experience more light sensitivity in environments such as bright sunlight, because darker-colored eyes contain more pigment to protect against harsh lighting." "Cal Ripken had the bluest eyes of any player I've ever seen and he did pretty well in his career," he said. But Kurkjian added that former "Baseball Tonight" colleague (and current Orioles manager) Buck Showalter subscribed to Hamilton's theory. He said he has two rules when it comes to evaluating young players: never draft an 18-year-old with a full beard and never draft anyone with blue eyes because they "can't see as well."